Consumers in particular are benefiting from current low wheat grain prices, thanks in part to the success of WHEAT, but many studies foreshadow a future of rising demand and food price instability that could wreak havoc, particularly among poor consumers. The unfolding scenario implies a yearly growth in wheat demand of 1.4 percent to 2030, at constant prices. But yield gains in wheat remain below 1 percent per year over the last decade, mainly because the easiest gains in wheat have already been achieved and more dramatic progress will require new approaches. To ensure the affordable availability of wheat – a food staple that provides around 20 percent of protein and calories consumed worldwide – researchers need to expand field testing for disease resistance and heat and drought tolerance and to significantly raise wheat’s genetic yield potential. 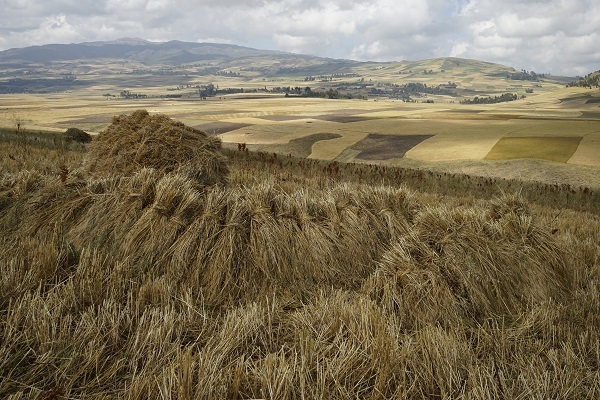 For their part, during 2015 CIMMYT and ICARDA made excellent progress in merging their wheat programs to ensure partners and farmers’ quick and effective access to high-yielding, climate-resilient breeding lines, productive and resource-conserving cropping practices and knowledge needed to face the future of wheat, the vital grain of civilization and food security. 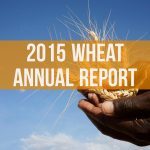 Read the full version of the 2015 WHEAT Annual Report here.